Drawing of 8-drawer asymmetric dresser. 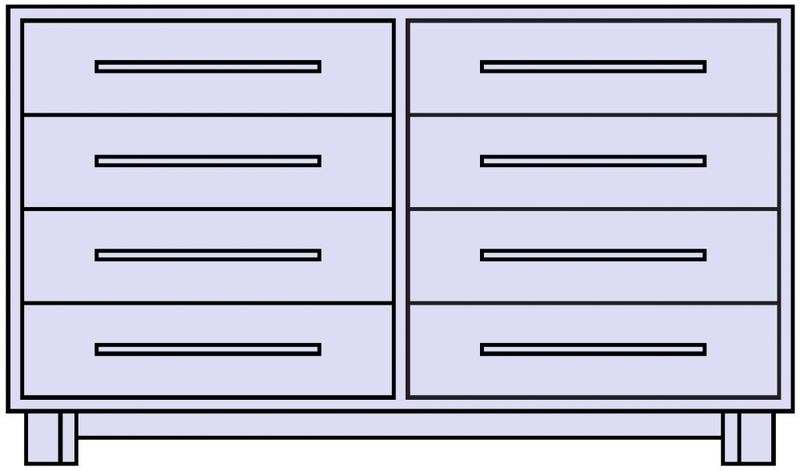 Four 33.25" drawers on the left, four 16.125" drawers on the right. 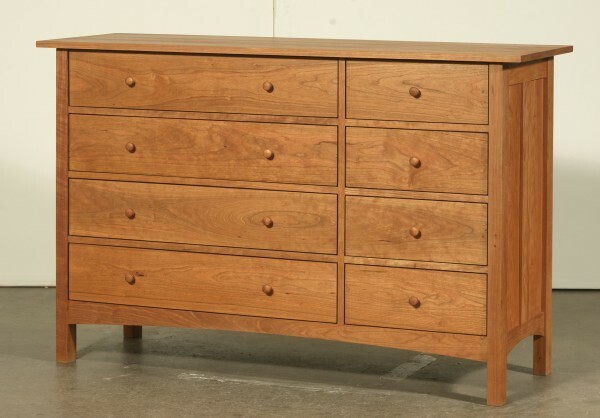 Cherry Loft 8-drawer asymmetric dresser, 20"D x 52.875"W x 34.625"H.
Drawing of 8-drawer asymmetric dresser. 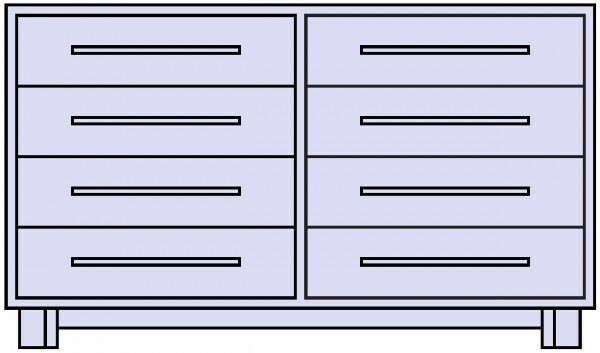 Four 16.125" drawers on the left, four 33.25" drawers on the right. 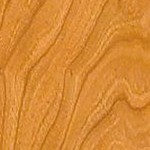 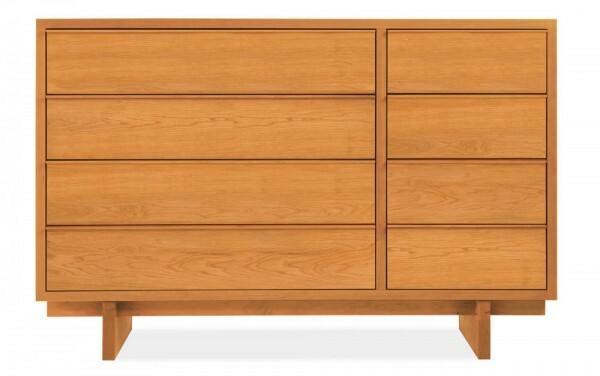 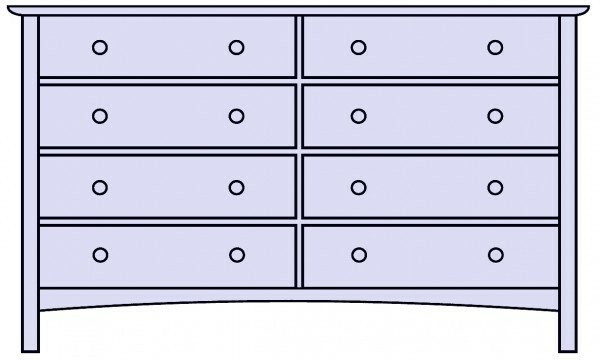 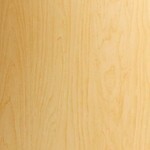 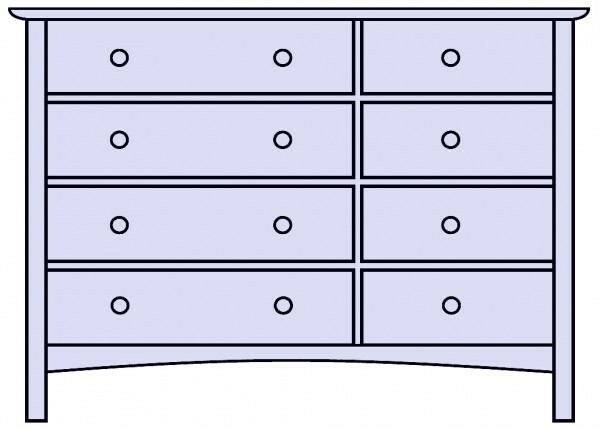 Drawing of 8-drawer equal dresser. 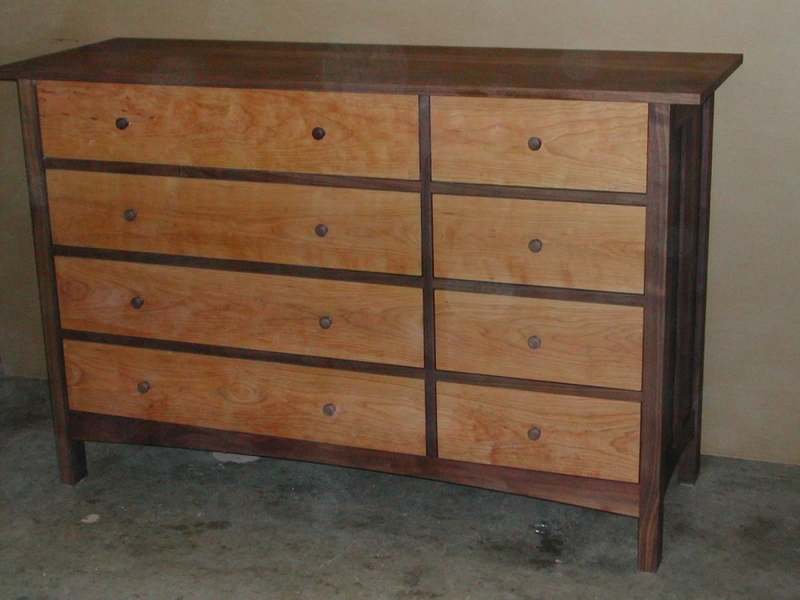 Two banks of 26.125" drawers. 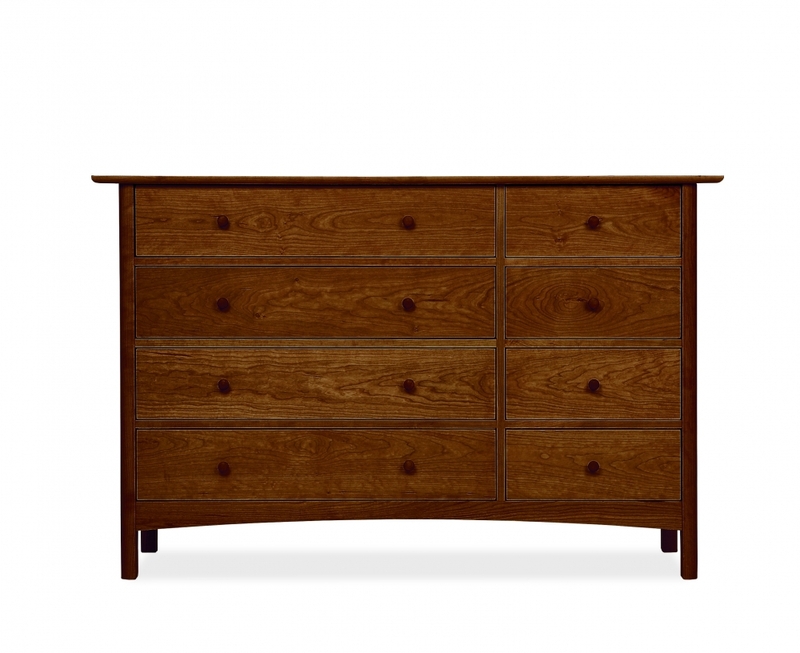 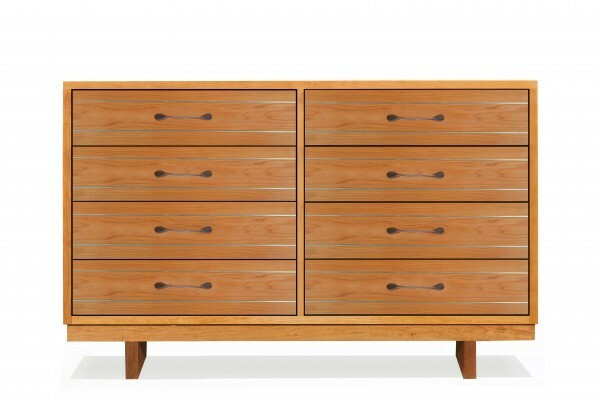 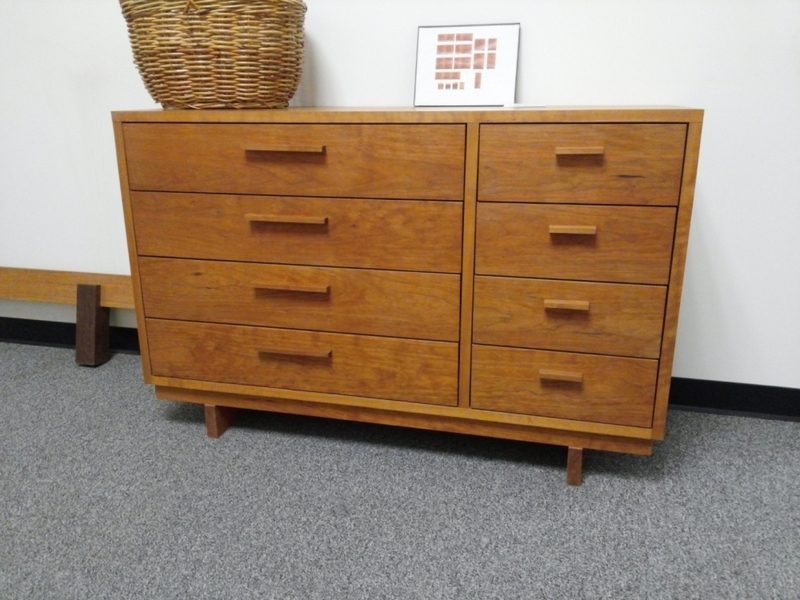 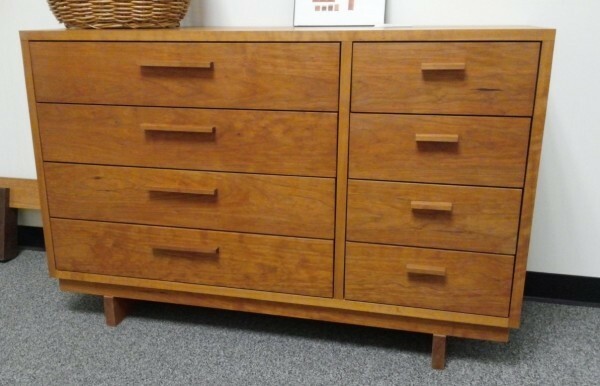 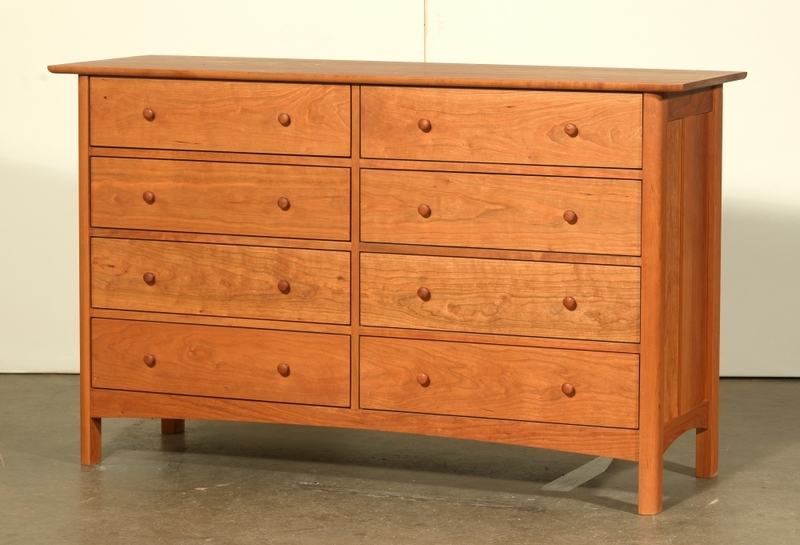 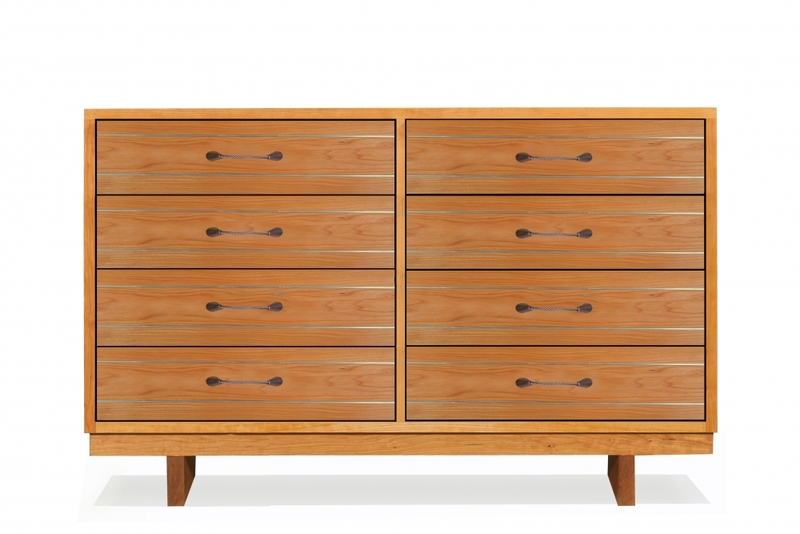 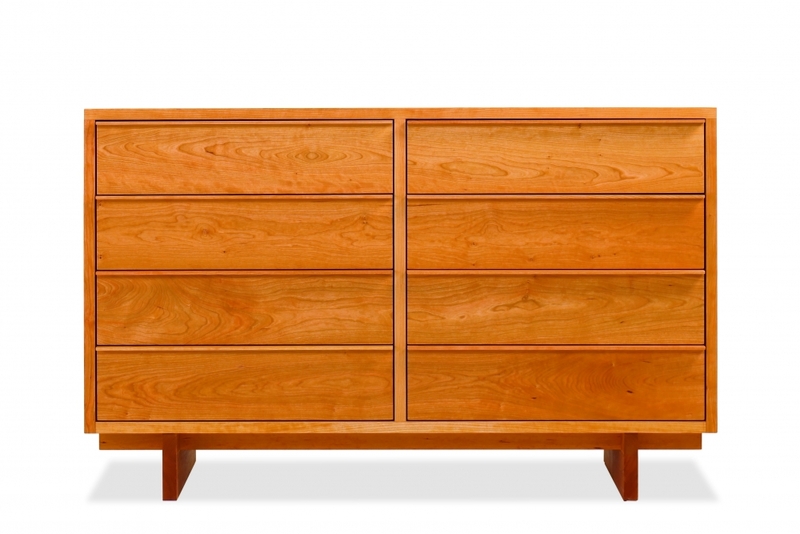 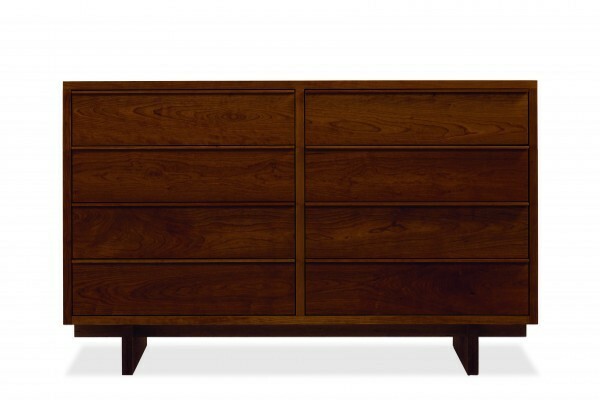 Cherry Cable Crossing 8-drawer wide dresser. 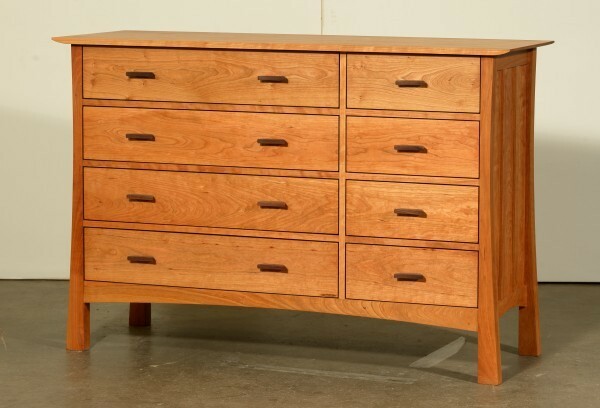 Two banks of four 33.25" drawers. 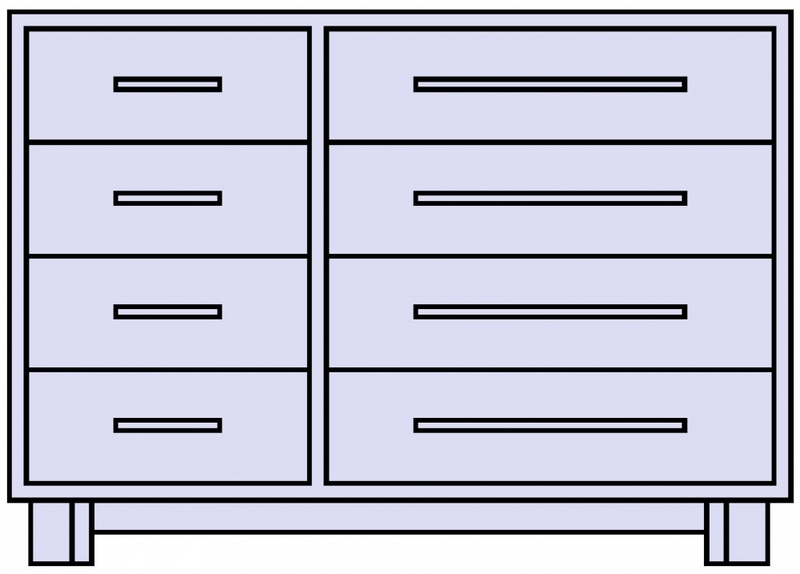 20"D x 70"W x 34.625"H. Same overall dimensions as Cable Crossing 10-drawer split top dresser. 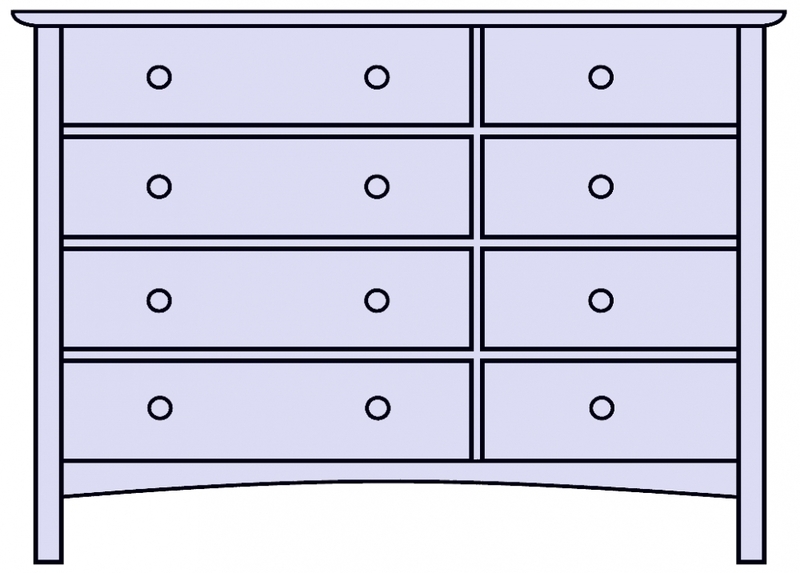 Drawing of 8-drawer wide dresser. Two banks of 33.25" drawers. 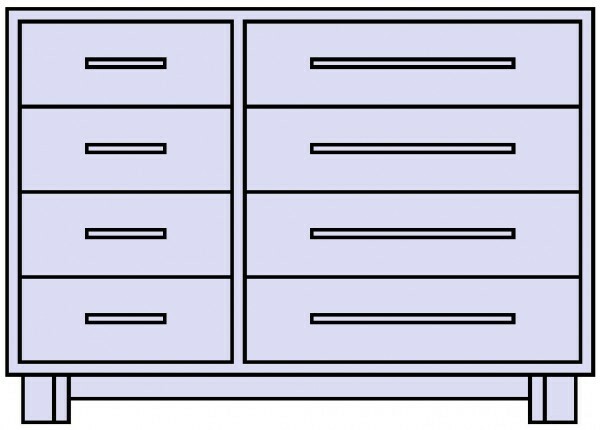 Same overall dimensions as 10-drawer split top dresser.